Last year during Domotex 2009, I decided to take an afternoon to tour several major German floor covering retailers that I had read about for years. 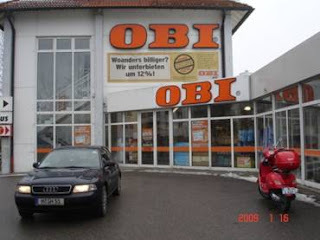 I discovered that several DIY stores like OBI, Praktiker [Praktiker Wikipedia entry], Hagebau, Toom and Hornbach were located within 10 miles of the fairgrounds. For years I attended Domotex to see products from around the world and gather merchandising ideas from exhibitors’ displays. I'd fly to Germany arriving early Saturday morning, catch an hour nap at my hotel and be at the show in the afternoon. After a couple of full days visiting and walking past more than 1,000 exhibitors, I'd drag myself to the airport and fly home. 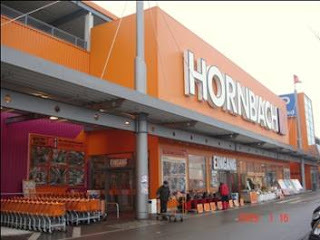 That changed with my visit to these German DIY stores! In just a couple of hours I was able to see each of these European giants, several of which give Home Depot and Lowes a run for their money. The experience was eye opening. 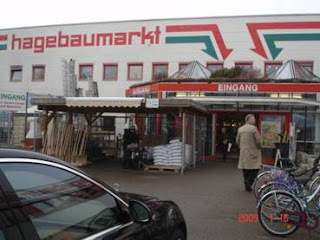 I could not believe that it had taken me so many years to take advantage of my travels to Hannover to witness firsthand the German retail floor covering market. In fact, I thought this tour was so worthwhile that I asked Domotex to organize a similar opportunity for attendees of our North American VIP delegation. For the 2010 program, Domotex has arranged for a six passenger van for the use of the North American VIP delegation on a limited schedule. VIP attendees who sign up IN ADVANCE will be shuttled to at least three stores quickly and efficiently. The tours should take only two hours. Vans will pick up participants on the fairgrounds at a pre-scheduled time. The best news of all is that Domotex is picking up the tab! There is no charge to participants who are registered as part of the North American VIP delegation. This sure beats hiring a car and driver, mapping out your visit and worrying about parking. Sometimes it's just good to be part of the right group! If you have any questions or have not yet signed up for the North American VIP delegation for Domotex, contact me at jgould@floorcoveringinstitute.com. Space will be limited so make your reservations as soon as possible.